Dogs have hearts with limitless capacity. Even when they’ve been through the most terrible experiences in life, dogs seem to always be capable of love. 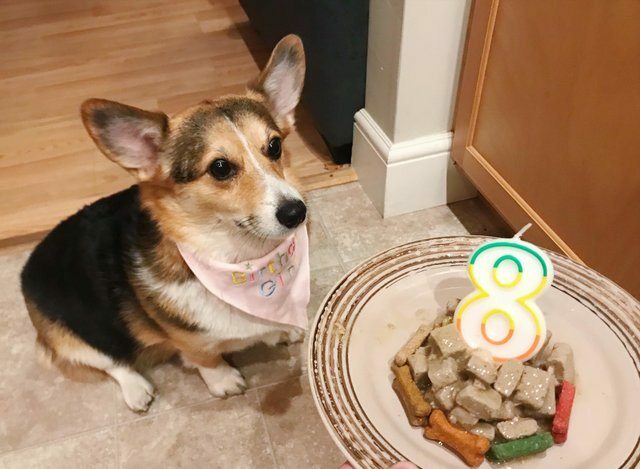 Cora, an absolutely adorable Corgi, was rescued from horrible living conditions in July of 2017 – just a few months before her 8th birthday. The poor girl was used for breeding purposes and had given birth to a countless number of litters. Sadly, her last litter only had one healthy puppy. After being rescued, Madison Palm planned to foster Cora until they could find her a forever home, but after spending time with her, she knew there was no way she could let the sweet girl go – it was a match made in heaven. 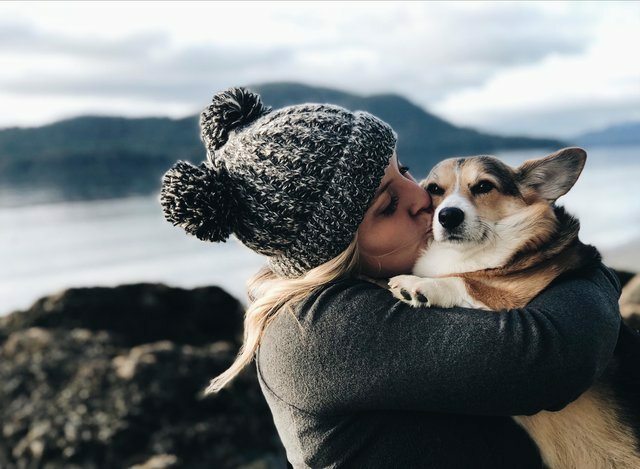 Despite never knowing what true love felt like, Cora the Corgi has one of the most loving and caring personalities you could imagine. Madison says that Cora is ecstatic to meet everyone she comes across and has a very compassionate nature about her. In fact, Madison was so impressed by Cora’s ability to socialize, that she has recently started to train her as a therapy dog. “She is SO sweet and that is usually the first thing people say about her. Her gentle and kind nature never goes unnoticed,” Madison told The Dodo. 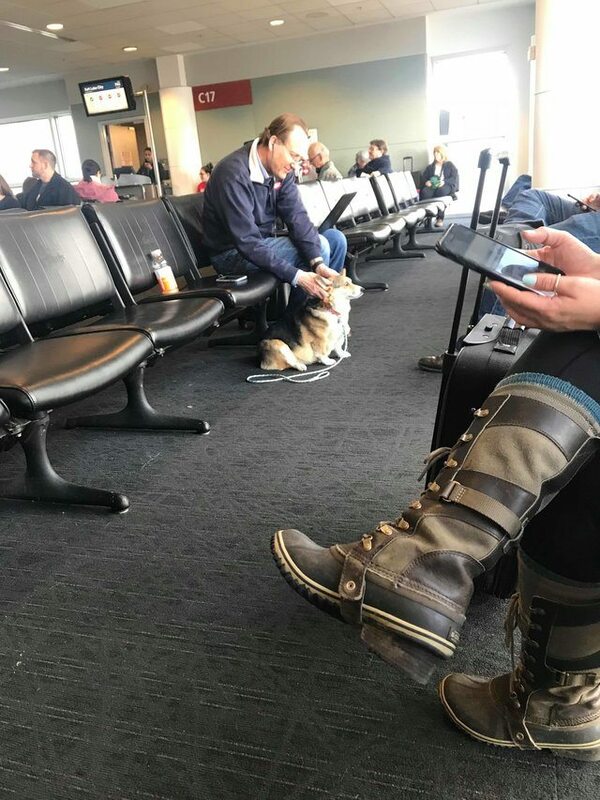 Saying hello to strangers is not out of character for Cora, but one day at the airport – the Corgi did something that brought tears to Madison’s eyes. One day while traveling, Madison and Cora were stuck at the airport and decided to relax to kill some time. 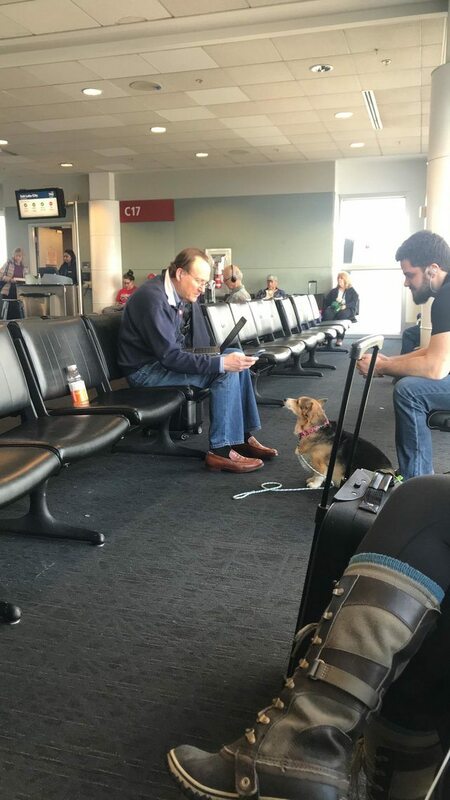 As Cora settled by her owner’s feet for a nap, Madison let go of her leash to have a quick snack – but before she had a chance to call her, the dog had made her way over to a gentleman that was sitting by himself. Madison was concerned that her dog was bothering the man, so she got up to apologize – but when she looked at his face, she realized that he seemed to be having an emotional moment with Cora. It’s incredible that the sweet dog somehow could sense that this man needed some comfort that day. Cora had spent over seven years of her life being abused, neglected, and unloved – and yet, somehow, her first instinct is to show compassion and comfort. 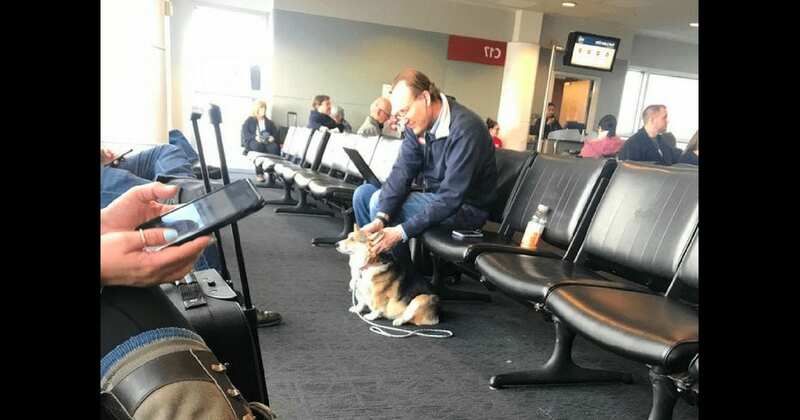 The Corgi’s interaction with the man has been melting the hearts of people around the globe. Seeing the photos, it’s easy to see why.